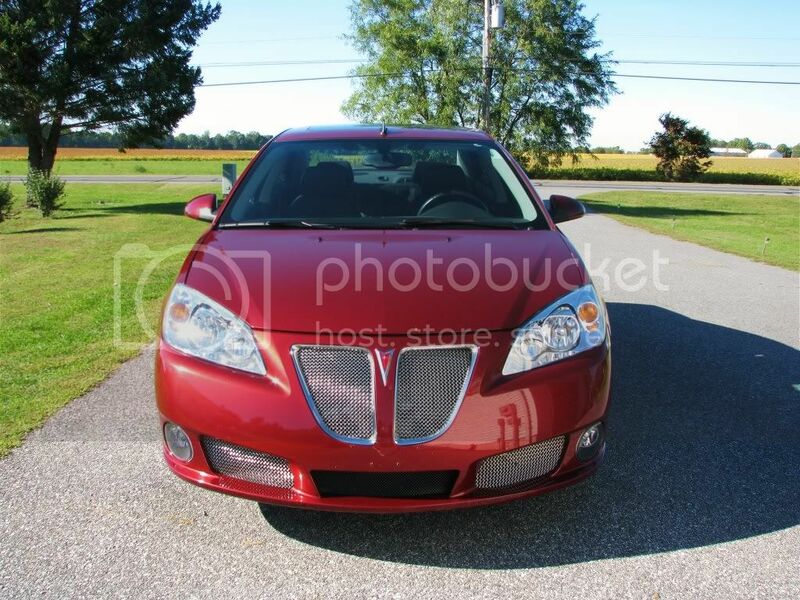 This is a thread for progress of my G6 GXP. After purchase, first cleaning of the many it will get by me also removed the front plate bracket and any dealer advertising. 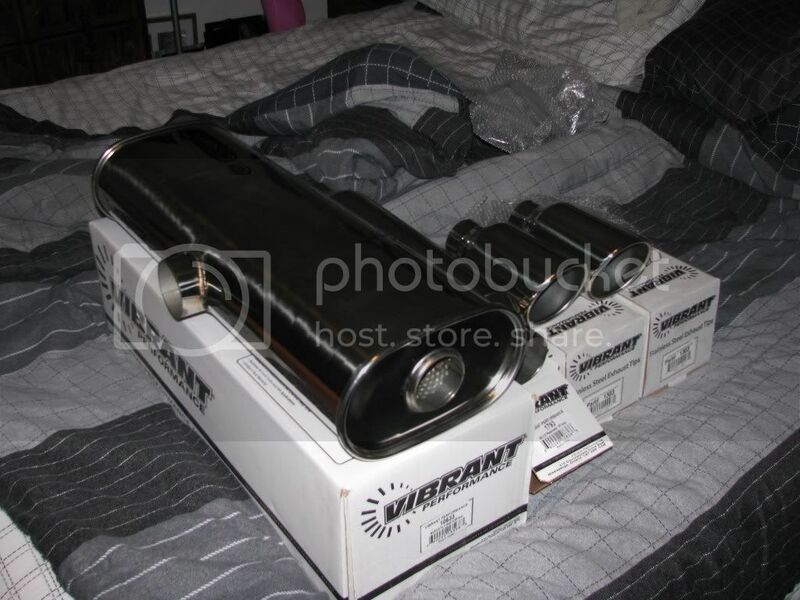 Bought it it's first parts to be installed soon. 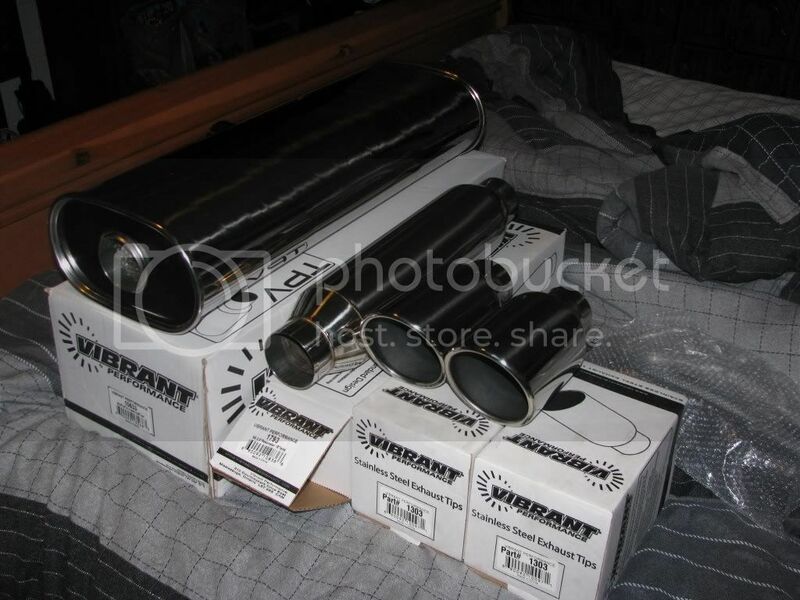 Someone on another forum said that I bought pepboys parts lol. Got a lil bored today, I guess it can't be good when you're sitting around on a sunday. very nice. great color. 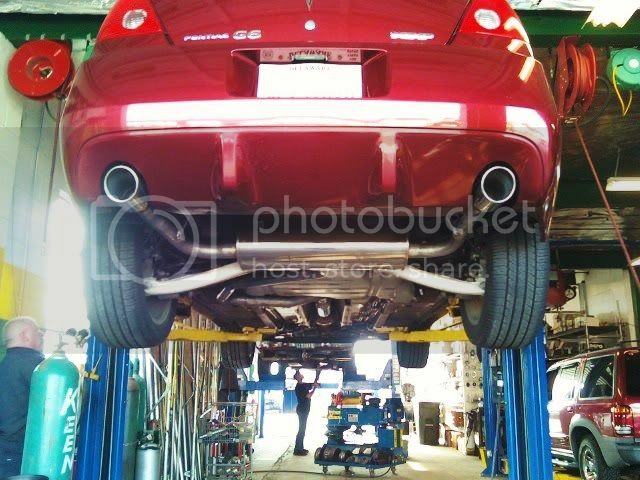 i still want to hear the exhaust when done. In time I will have it on and vids posted. 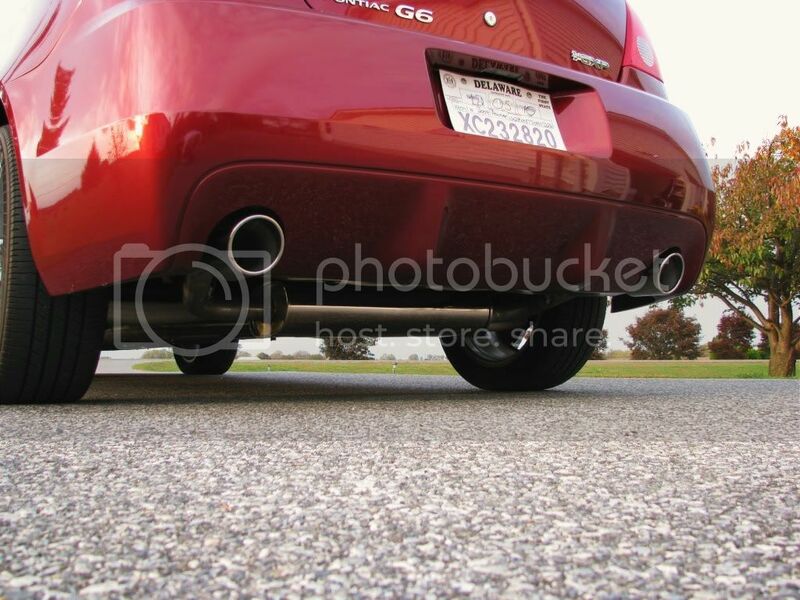 I need to get a stock exhaust vid just for comparison. oh good idea. i gotta do that too for when and if i do mine. 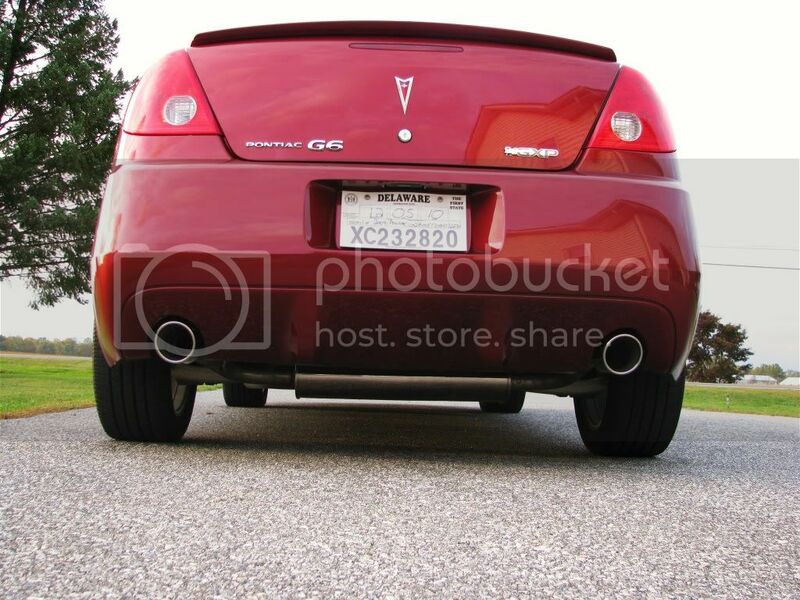 Part of me doesn't want to pull the badging since it's a GXP, if it were just a GT or something like that then it would be done already. Just save the badges. 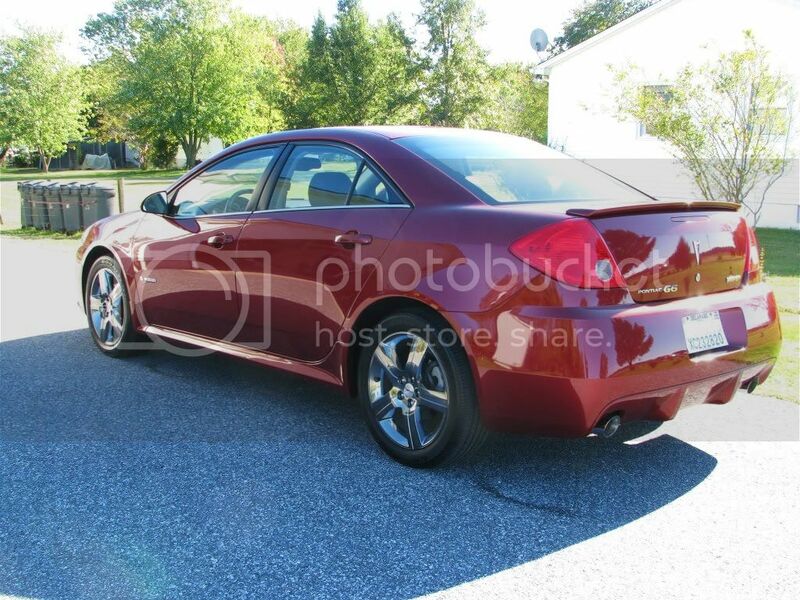 People already have a hard time knowing what the hell cars are, since the majority of folks out there know that G6's are supposed to be slow, why not let them think you're "slow"? To boot, badges of any type make the car look cluttered and tacky, IMO. IMO badges enhance the look to a degree of the car, depending on what car. If this was some Honda or Toyota I'd say debadge but with all the history of Pontiac and now that it is defunct, I say wear them proud. 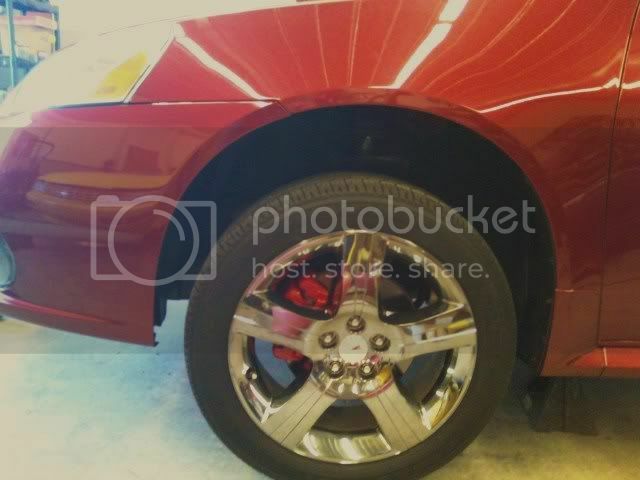 Then again this is coming from a guy who wants to turn a 2010 Camaro into a Trans Am... so to each his own. 60DegreeVVT No I have not heard this setup, i'm going in blind on this but have a good feeling for it. You should check out getting a cone style intake... Does not have to be the, um, most popular/go to intake. 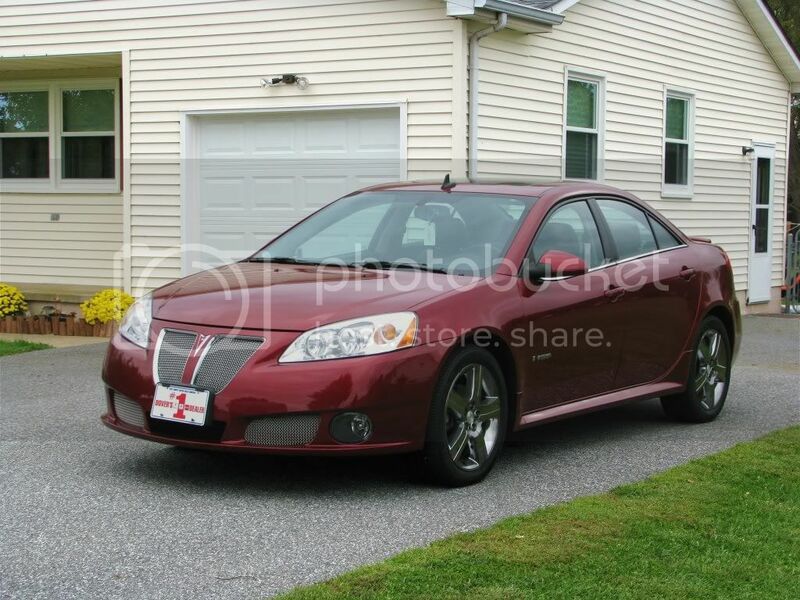 I got an "Injen" knock off that is full length and personaly i love it. And we did talk about how to get you there as well. I'm happy with the drop in, it does exactly what I wanted it to do. 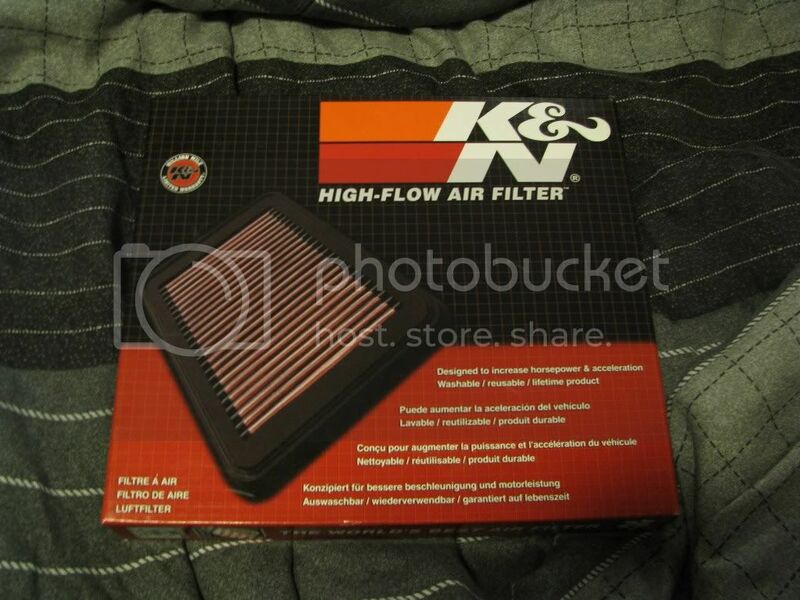 It was a replacement air filter that I won't have to ever replace again. Besides my stock filter you could not see a bit of light through. 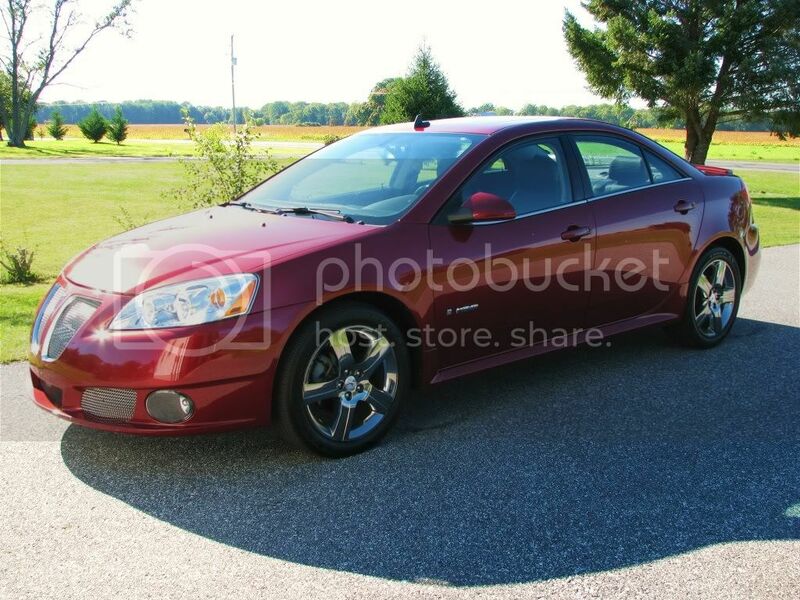 I have to say I agree with keeping the badges on also, they look good, GXP's always turn my head around here haha. Also, You're not the only guy out there who wants to do the camaro T/A swap, I've got the websites for the swap kits saved into my laptop, and pictures of the swap in two different colors/occasions. Back on topic -- haven't had the chance to say anything yet but nice car! It looks good, just keep up the good work! 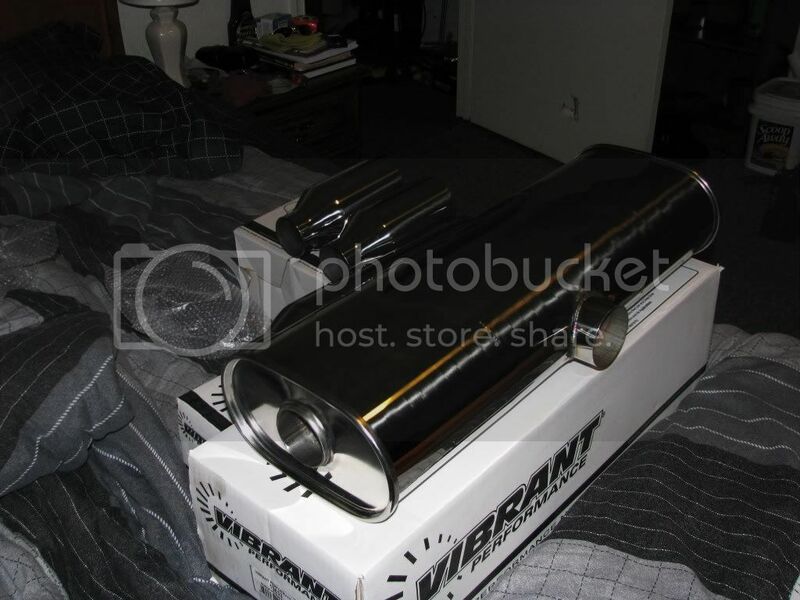 About the exhaust, as most girlfriends would probably say (including mine) "oooh shiney" haha! 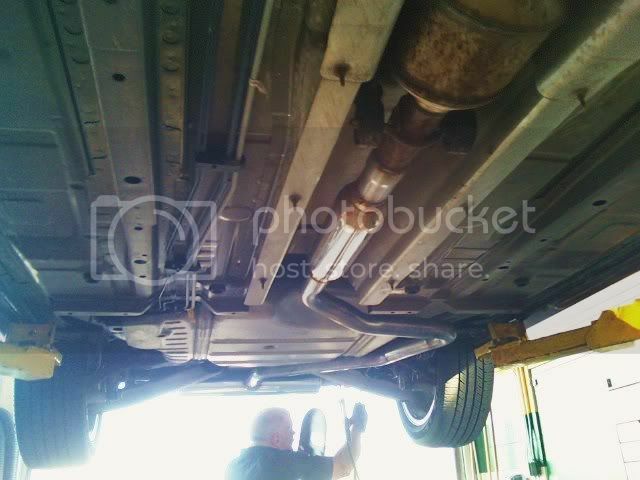 Have you or are you going to remove the intake resinator? I prolly won't remove it. I don't feel like fighting trying to get the headlight out of the way to get to it. 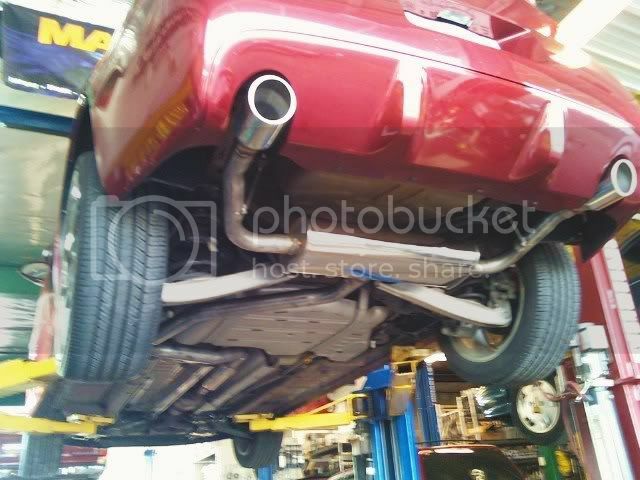 Everything came out in one piece to boot..
May I present my stock vs new exhaust. My new custom setup = OMGWTF SOUNDS SO GOOD! EFF that garbage that they push on that other place... i love it. too bad it will sound different on a pushrod engine. but i am going to do that! Do you have under side pictures? looks and sounds beautiful Cav! Looks good how does it sound? EDIT: Didn't see it on the other page , sounds pretty good!